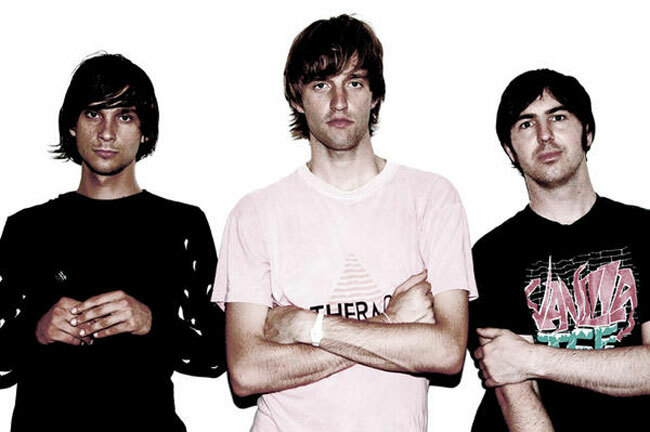 Way back in 2006 Cut Copy pulled together a mix for Triple 5 Soul featuring the year's big dance floor tracks/bangers sprinkled with Cut Copy's electro-pop sensibilities turning out a mix for all seasons, for the people, not necessarily by the people. Think "The World is Running Down" by The Police being run down by Tiga's "You Gonna Want Me" melted effortlessly into Digitalism's "Zdarlight" and you've only really hit the tip. There's so much more, and not being one to spoil the surprises, as is with these things your ears will be the best judge. Overlanders - "Love Is Strange" ELO - "Meant To Be" Cut Copy - "Autobahn Music Box" Metroarea - "Honey Circuit" (Drums) Mito - "Droid" The Cars - "Let's Go" Suicide - "Sweetheart" Daft Punk - "Fresh" Out Hud - "It's For You" Blackstrobe - "Fitting Together" Cut Copy - "Going Nowhere" (Sebastian Remix Drums) Poni Hoax - "Budapest" Colder - "To The Music" Tom Vek - "If You Want" The Police - "The World Is Running Down" Tiga - "You Gonna Want Me"" (12" Dance Mix) Digitalism - "Zdarlight" The Woodentops - "Everyday Living" (Adrian Sherwood Mix) Zongamin - "Bongo Song" Telex - "Moscow Disco" (Carl Craig Dub) Munk - "Disco Clown" New Young Pony Club - "Ice Cream" Black Box - "Ride On Time" (12" Dance Edit) Franz Ferdinand - "Do You Want To" (Erol's Glam Racket Mix) The MFA - "The Difference It Makes" (Superpitcher Mix) New Order - "Temptation" (Edit) LCD Soundsystem - "Tribulations" (Lindstrom Dub) Giorgio Moroder - "From Here To Eternity" Digitalism - "Jupiter Room" Tom Vek - "I Ain't Saying Goodbyes" (Phones Mix) David Bowie - "This Is Not America" Phoenix - "If I Ever Feel Better" Cut Copy - "Going Nowhere" (Whitey Remix) The Pixies - "Where Is My Mind?"